Huronia Chapter - Ontario Archaeological Society: Not just another old hotel. When I moved to Huronia some 30 years ago the only sign that I had seen regarding Brule was on a plaque at the Old Mill Restaurant on Bloor St. at the Humber river in Toronto. Once here I saw the sign for the Brule Hotel in Penetang and a Brule Street also in Penetang. Brule Street intersects with Le Carron (another important figure in Huronia's history - see posts on Carhagouha) but I did not relate these to the plaque that I had seen in Toronto until about 20 years later when my interest was stirred regarding the ancient history of my chosen home in Huronia. So why is Brule remembered in Huronia and why? 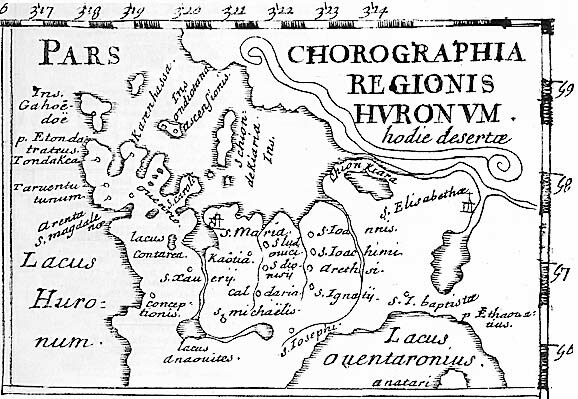 Brule was Huronia's first European resident. He first came here as a youth at the request of Champlain in 1610 and remained here for the most part until his death in Huronia in the early 1630s. 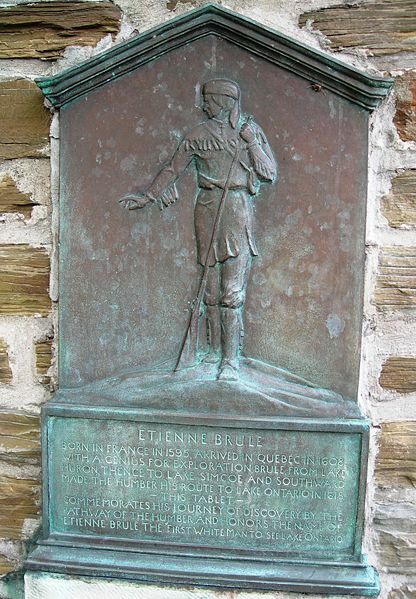 Brule is credited with exploring most of the Great Lakes while he resided here with the Huron's and while held in low regard by most of the religious that joined him in Huronia, he spent more time here than any of them, living with the local population, befriending them, learning thier ways and language and taking a leading role in encouraging trade with the French at Kebec. Was he the scoundrel that he was made out to be by the religious and some of the French? Did he become a trater to the French and perhaps the Huron/Wendat. For more information on Brule and an in depth look into his life and who he really was join us at the next Huronia Chapter meeting May 10th 7PM at the Huronia Museum and listen to a well versed expert who has visited Brule's home in France and researched well beyond the surface glimpse that many historian have shared about this fascinating personality.